The Walking Dead Cast @ Comic-Con 2016. 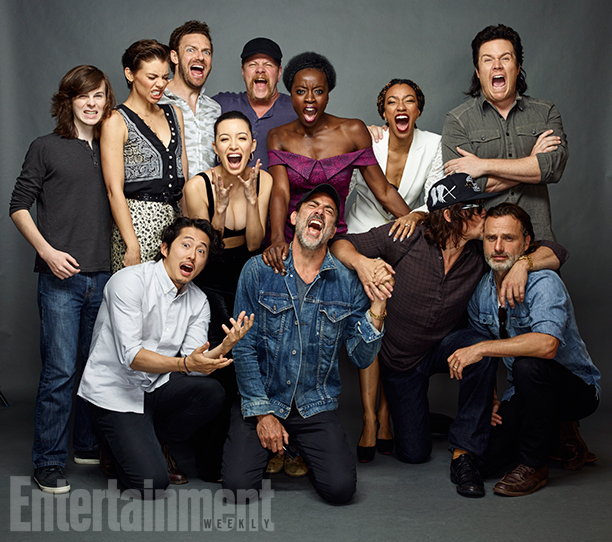 Chandler Riggs, Steven Yeun, Lauren Cohan, Ross Marquand, Christian Serratos, Michael Cudlitz, Jeffrey Dean Morgan, Danai Gurira, Sonequa Martin-Green, Norman Reedus, Josh McDermitt, and Andrew lincoln. Wallpaper and background images in the Walking Dead club tagged: photo the walking dead cast. This Walking Dead photo might contain demoiselle d'honneur, demoiselle d’honneur, bien habillé personne, costume, costume pantalon, tailleur-pantalon, pantalon costume, pantsuit, personne bien habillé, and pantalon de costume.